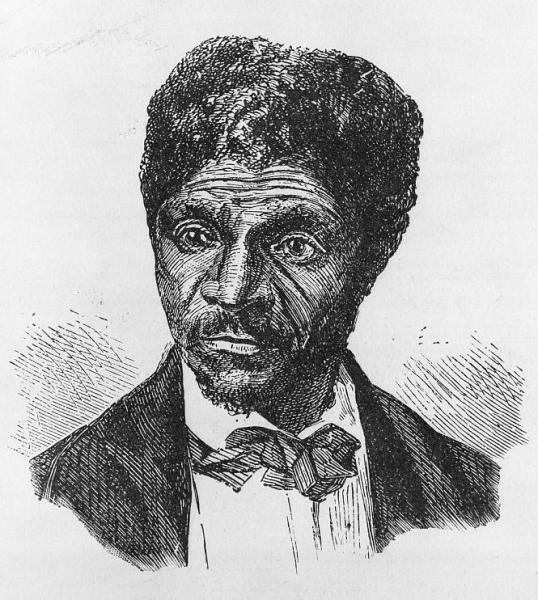 Two days after James Buchanan was inaugurated the 15th president of the United States, the Supreme Court issued the Dred Scott decision, opening all American territories to slavery until the time came to seek admission as a state. Buchanan, sympathetic to the Southern cause despite being Northern born, wanted a ruling that supported “popular sovereignty,” a concept introduced in the Kansas-Nebraska Act (1854) that allowed the settlers of Western territories—rather than the U.S. Congress—decide their status as slave or free states upon admission to the Union. In secret consultation, Buchanan urged Justice Robert Grier to join with the majority to issue a broader interpretation of the Constitution, undermining congressional authority to decide on the status of slavery in new states. Anxious to begin his presidency with the issue resolved, Buchanan endorsed the Court’s decision in his inaugural speech on March 4, 1857, even though it was not set to be issued until two days later. He believed that by taking the decision out of the hands of Congress, the question of slavery’s expansion would be resolved peacefully on a state-by-state basis. Buchanan could not have misread the political temper of the nation more disastrously. Born in Cove Gap near Mercersburg, Pennsylvania on April 23, 1791, James Buchanan was the second of 11 children and the oldest son. His father, who emigrated from Ireland, was a successful businessman. On graduation from Dickinson College, Buchanan took up the study of law. He was admitted to the Pennsylvania bar in 1813 and began a successful law practice. Before he was 30 he attained significant wealth and but for the death of his fiancée, Anne Caroline Coleman, seemed to be on the road to a happy and prosperous life. Elected President in 1856, Buchanan’s stated goal was to bring peace and civility to the relationship between the North and South and to allow “the will of the majority to govern.” But Buchanan’s legalistic mind, his dislike of overt conflict and his loyalty to all things Southern made him ill-prepared to lead the country during the tumultuous years to follow. Many historians consider him passive on the slavery issue and unable to resist the pressure brought to bear by his Southern friends. But Buchanan was quite capable of resisting pressure from antislavery Northerners when he disagreed with their position, suggesting that Buchanan possessed a stronger personality than his detractors acknowledge. The whole Territorial question being thus settled upon the principle of popular sovereignty--a principle as ancient as free government itself--everything of a practical nature has been decided. No other question remains for adjustment, because all agree that under the Constitution slavery in the States is beyond the reach of any human power except that of the respective States themselves wherein it exists. The moral and legalistic debate over slavery often disguised the politician’s concern for the future of his political party. Buchanan believed that peaceful resolution of the Kansas issue would result in the decline of the Republican Party and the continued ascendancy of the Democrats. But that hope rested on free and honest elections in Kansas by the residents of the territory without outside interference. When proslavery factions in Kansas held a constitutional convention in Lecompton in 1857, without the authority of Congress and with the aid of thousands of illegal votes from Missouri, it was boycotted by the antislavery party representing the majority sentiment. Not surprisingly, the convention adopted a constitution that protected slave property already in the state and allowed Kansas admittance to the Union as a slave state. Buchanan publically supported the Lecompton Constitution despite clear evidence of voting fraud and the failure of the convention to submit the constitution to the voters for ratification. Buchanan was motivated, in part, by a sincere belief that continued dissension over the slavery question represented a real risk to the future of American democracy. Afraid of the influence of secessionist rhetoric, he took the steps he believed necessary to preserve the Union. However, his strong dislike of abolitionists and his almost universal support of the Southern agenda distorted his perspective. Rather than bring an end to the debate, his proslavery political leanings, evidenced by his support of the Lecompton Constitution, contributed to increased tension and threats of violence. His failure to use his diplomatic skills to resolve the dispute eventually led to secession and the Civil War – the very outcome Buchanan hoped to avoid. In the process, his administration’s reputation was permanently tainted. At the end of his presidency, James Buchanan retired to Wheatland, his home in Lancaster, Pennsylvania. His contemporaries saw his administration’s attempts to appease the South as primary, if not the direct cause of the Civil War. In an effort to defend his administration, Buchanan wrote an account of his presidency, Mr. Buchanan’s Administration on the Eve of the Rebellion, but it did little to change his reputation. He died at Wheatland on June 1, 1868. Auchampaugh, Philip Gerald. James Buchanan and His Cabinet: On the Eve of Secession. Boston: J.S. Canner & Co., 1965. Moore, John Bassett, ed. The Works of James Buchanan, Comprising His Speeches, State Papers, and Private Correspondence. 12 vols. Philadelphia: J. B. Lippincott, 1908-11. Nevins, Allan. The Emergence of Lincoln. 2 Vols. New York: Charles Scribner's Sons, 1950. Stampp, Kenneth M. America in 1857: A Nation on the Brink. New York: Oxford University Press, 1990. The University of Virginia Miller Center. American President Reference Center. "American President: James Buchanan (1791-1868)."